What would you do differently if you realised time was running out on you? Would you apply more urgency to tasks in your life, career, marriage, etc? Would you make a deliberate effort to appreciate the people that matter most? Or would you make sure you went on that holiday or dinner date you’ve been planning with your wife or family for a long time now? What would change if we suddenly realised the fact that time is a finite resource! Being able to number our days and count in weeks, months, years and so on enables us to plan and to give account of how much time we have spent on a project or task. 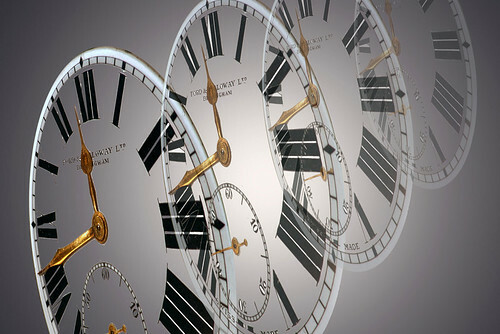 However, because time usually seems to tick slowly by, we are often times unconscious of the fact that the seconds are slowly turning into hours and the hours turning into days, years, and decades. I haven’t written a post on this blog for a year now. This was not a planned absence and started initially by just skipping a post. This then turned into weeks and finally a whole year’s absence from the blog. Whilst it’s been a busy year, it’s made me realise how putting off one post can turn into a year of no posts. How do you number your days? I read sometime back about someone who kept a jar of pebbles. At the end of each day, they would throw away one of the pebbles. The pebbles signified days and there were obviously a lot of them in the jar. By throwing away a pebble at the end of each day, this person was able to demonstrate that a day of their life was gone and would never be regained. Do you have a method for numbering days? If you and I were using the jar of pebbles, would we throw away each pebble with the conviction that we had made the best use of it – that we had made the best use of the day? Or would we be throwing away, day after day, pebbles that were barely used at all. How big would our jar be and how many jars would we have to represent all the remaining days of our life? Let us learn to number our days and wisely make the best of every opportunity that each day brings along. Learn to constantly review your past and future plans and re-evaluate your efforts and progress towards achieving them. Whatever your plans, make every effort to make the best use of the present. Number your days in your marriage, and in whatever your hand finds to do. Don’t wait till tomorrow to enjoy life with and be a blessing to your spouse and others. Above all, remember that each day is an opportunity. Make it count! 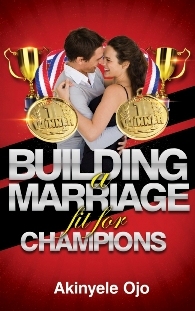 This entry was posted in Uncategorized and tagged Marriage, Time, Wisdom by marriageforchampions. Bookmark the permalink.